PRICE REDUCTION! Canal View!!! 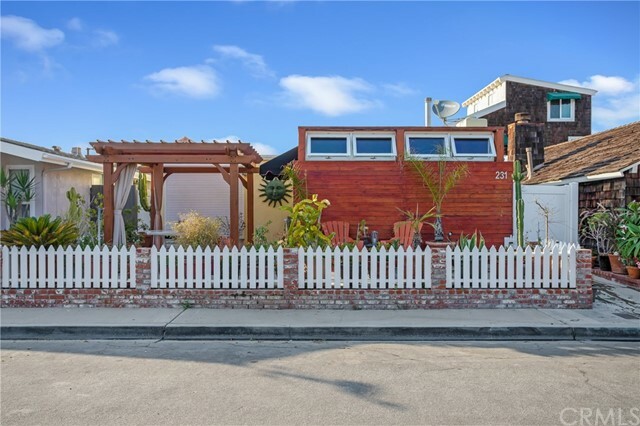 You are just steps to the Newport Shores Canal and just a couple of blocks to the Beach and Local Restaurants from this true Beach Bungalow located in the Newport Shores Community. This Home is located on a very quiet ONE WAY St. This home offers 3 bedrooms and 2 baths in approximately 1200 sqft. all on a single level, 2 car attached garage. There is a very low HOA fee of $43.00 a month which includes a Community Pool, Tennis, Volleyball, Basketball Courts, Playground and a beautiful Clubhouse. Plenty of Potential for this Bungalow, come put your stamp on it! Based on information from California Regional Multiple Listing Service, Inc. as of March 17, 2019 . This information is for your personal, non-commercial use and may not be used for any purpose other than to identify prospective properties you may be interested in purchasing. Display of MLS data is usually deemed reliable but is NOT guaranteed accurate by the MLS. Buyers are responsible for verifying the accuracy of all information and should investigate the data themselves or retain appropriate professionals. Information from sources other than the Listing Agent may have been included in the MLS data. Unless otherwise specified in writing, Broker/Agent has not and will not verify any information obtained from other sources. The Broker/Agent providing the information contained herein may or may not have been the Listing and/or Selling Agent.